Blinded Review: ResearchersLiks believes in a fair and rigorous review process. Therefore, all submitted manuscripts will be reviewed by at least three experts in the appropriate field, determined by the Editor-in-Chief of each journal. The names of the reviewers will not be displayed on the manuscript and will not be disclosed to any authors. 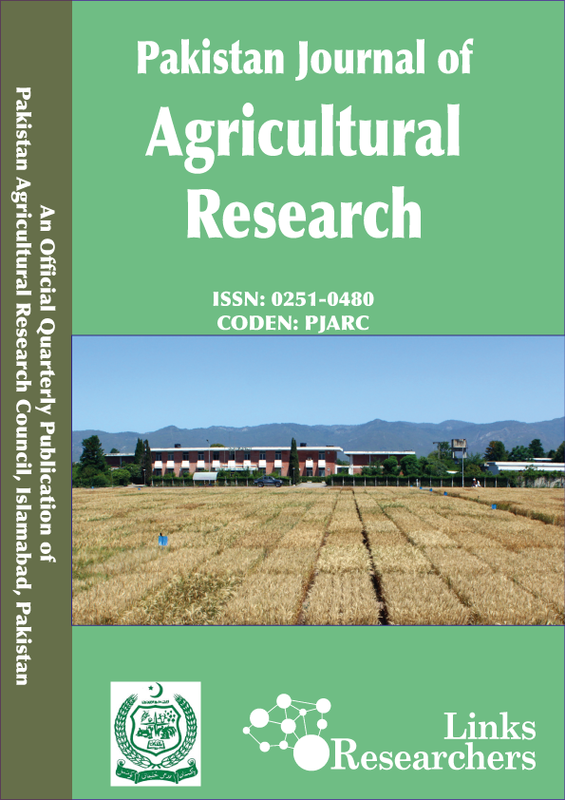 Only electronic files in Word format (.doc, docx) can be submitted to the Pakistan Journal of Agricultural Research. Submission shall only be made by one of the authors, main or co-author, who should take the responsibility for all correspondence throughout the submission and review process. Research Article: An article containing full detail of findings. It should consist of Title Page, Abstract, Introduction, Results, Discussion (Results and Discussion can be combined), Material and Methods, Acknowledgements, Authors's Contributions, References, Tables, and finally Figure Legends. Tables should be submitted in separate files and should be uploaded to the online submission system (Manuscript Handler) along with the manuscript. Tables should be cited consecutively in the text and should not be abbreviated.